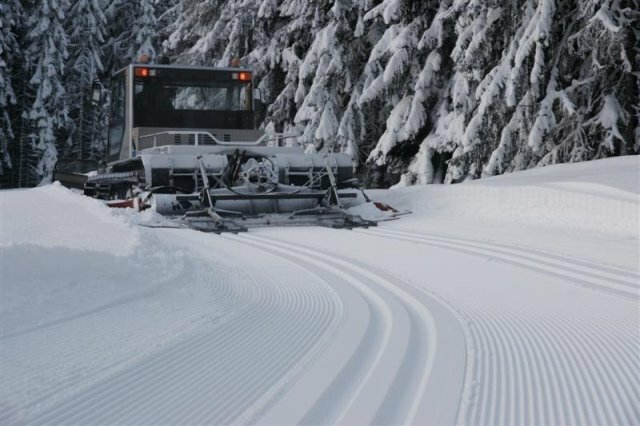 As powerful and agile as a Siberian sled dog: the Husky lays down tracks and skating paths for cross-country ski trails and also works with small ski slopes, practice slopes, lift routes, and sled runs – and it is the ideal snow cat for transport work on rough terrain or areas with little snow. A genuine all-around solution with climbing ability that is as impressive as its outstanding economy. Your Loyal Companion throughout the Entire Winter. Transport of people and materials: Large loading area, favorable loading height, and a heated transport cab for up to fourteen people. 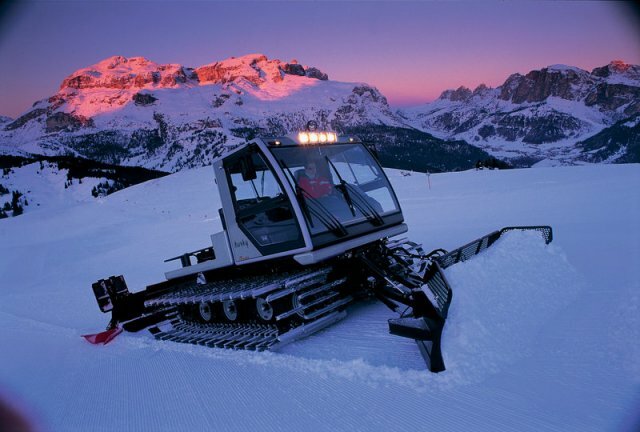 Very good climbing ability and agility: Whether climbing steep areas or pushing snow – you can rely on the Husky. ROPS-tested driver’s cab: Equipped with a steering wheel. Extremely reliable, economical Mercedes diesel engine: With direct fuel injection, simple to maintain and very environmentally friendly. 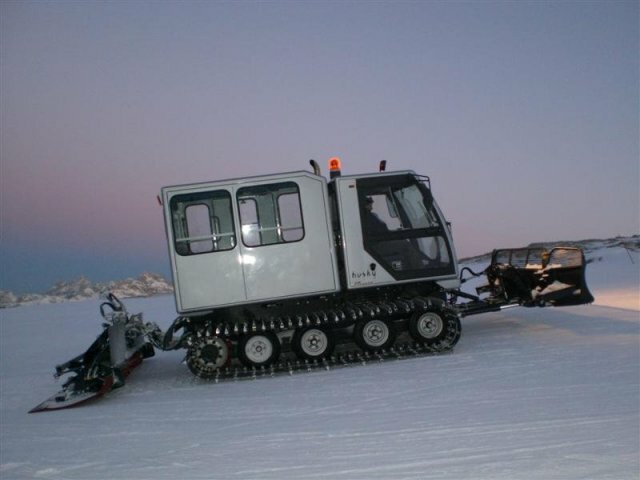 Top accessories: Tiller with two independent cross-country track setters, 12-way front clearing blade, passenger transport cab, and combi-tracks. Transport of people and materials. 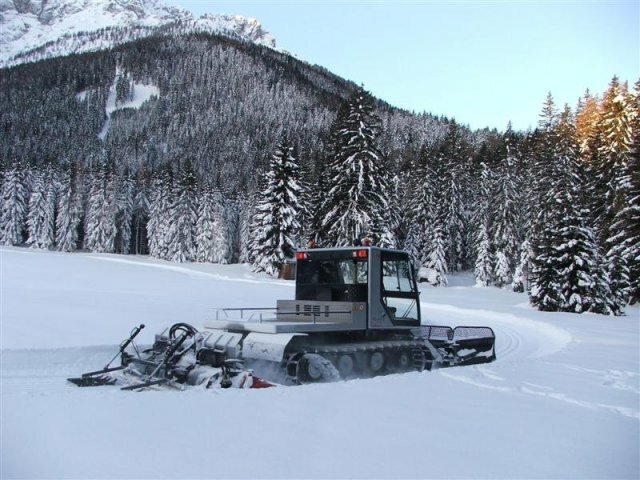 As a result of its large loading area and favorable loading height, it is ideal for transport work, even on rough terrain or – thanks to the combi-tracks – areas with little snow. The passenger transport cab equipped with its own heating system can accommodate up to fourteen people. 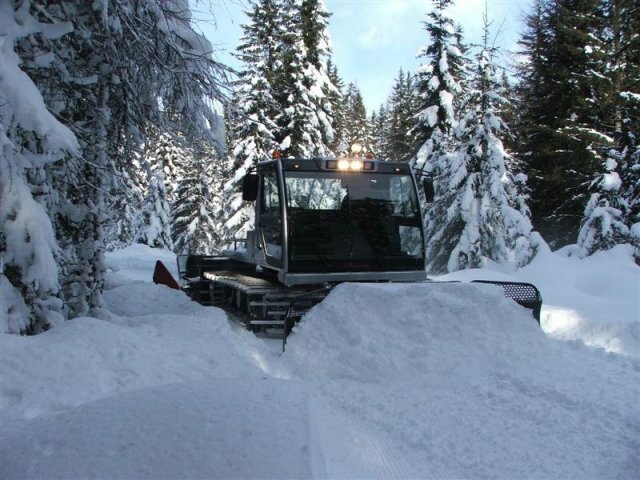 Very good climbing ability and agility: Whether it’s a steep hill, a lift route, or the pushing of snow, even within narrow spaces – you can rely on the Husky. ROPS-tested driver’s cab. Robust light metal construction with excellent insulation against noise as well as an ergonomically designed interior. Equipped with a steering wheel and a driver’s seat located on the left side – perfectly suited for every kind of driver. 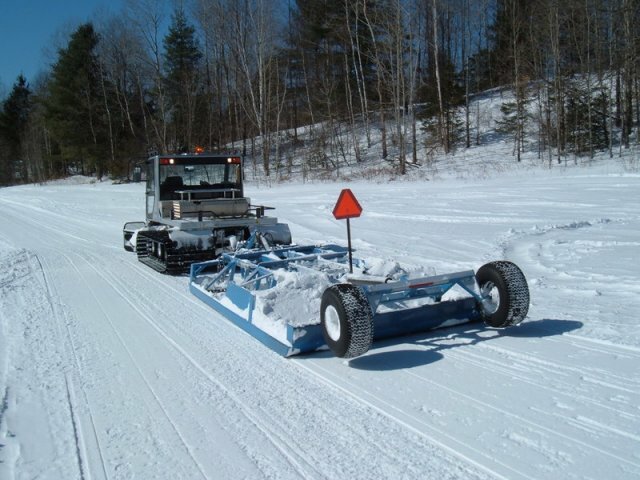 Four double-parabolic halogen lamps light up the multiple front high-performance working lights and also perfectly illuminate the rear working area of this agile snow groomer. Extremely reliable, economical Mercedes diesel engine. Low noise, with direct fuel injection and excellent cold start performance thanks to the START-PLUS system. Extremely low fuel consumption (an average of 8.5 l. per 100 km/nearly 28 mpg), easy maintenance, and environmentally friendly (Euromot IIIA compliant). Top accessories: Tiller with two independent cross-country track setters and an articulated, rotatable bracket for perfect cross-country tracks and lift routes even in curves, 12-way front clearing blade, passenger transport cab, and combi-tracks for travel over any terrain – whether it’s summer or winter, whether it’s snow, slush, mud, or scree.